Attempting to break that cycle is Oakley with its new Latch shades, which feature a clip in the frame which is both innovative and useful. But you need a break, so you stop at a convenience store... You head to the rear of the shopand enter the restroom. The bulb is brokenand it's dark, so you take off your sunglasses and hook them to your t-shirt collar. Your shades plummet into the grimy toiletbowl. 10 points for a perfect somersault. 0 points for urine soaked specs. All jokes aside, it's a common problem, whether it's a toilet-related incidentor run-in with concrete. I've lost tons of sunglasses that way. This clip secures the sunglasses in place on a t-shirt, saving you from urinesoaked toilet-eyewear. 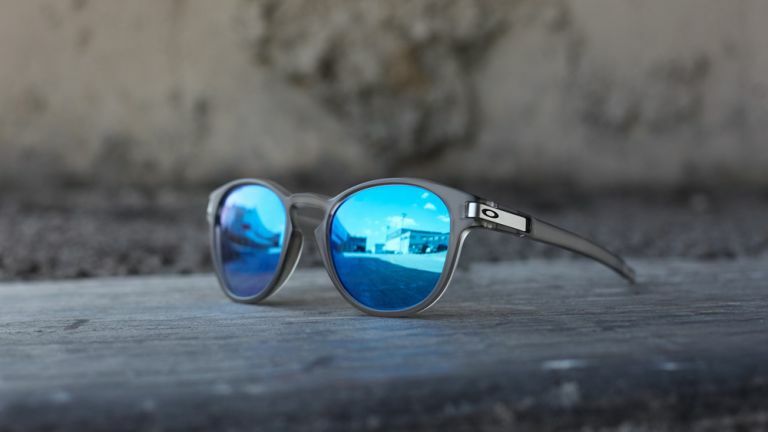 The glasses were designed in collaborationwith the Oakley Design team and Skate icon Eric Koston, photographer Atiba Jefferson and two young talents Sean Malto and Curren Caples. We think they look great, and during the past week wearing them at MWC in Barcelona and while driving over the Alps, we didn't drop them once. They're available now, priced between £110 - £160.